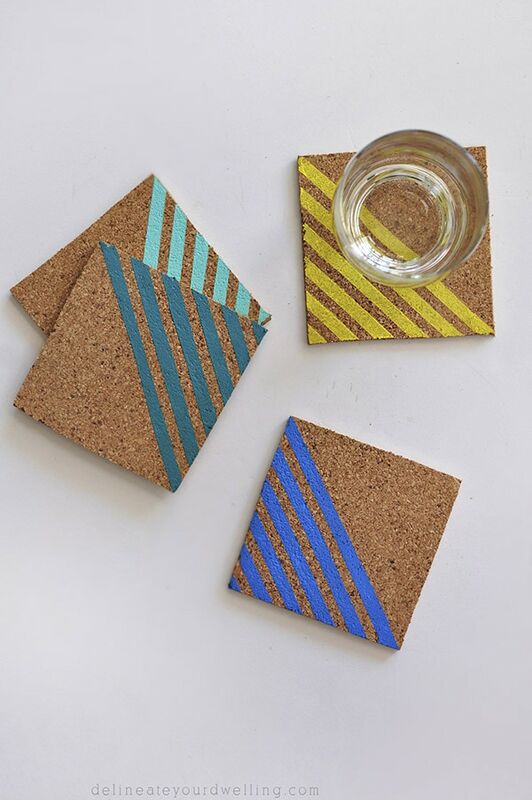 INSIDE : In just moments, create these budget friendly, DIY Colorful Cork Striped Coasters! 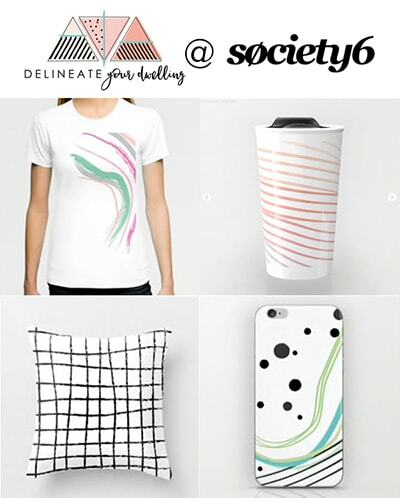 Perfect for adding some pattern to your home for very minimal cost. 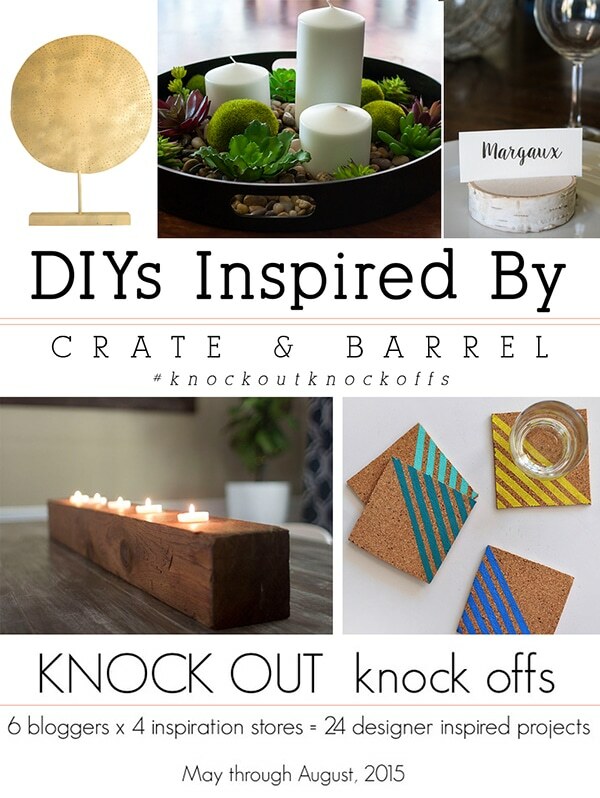 Today is our fourth month of the ‘2015 Inspired challenge‘ and Crate and Barrel is the store we are being inspired by. Each month, four other bloggers and I pick items from our selected store and try to recreate them for a lesser cost. 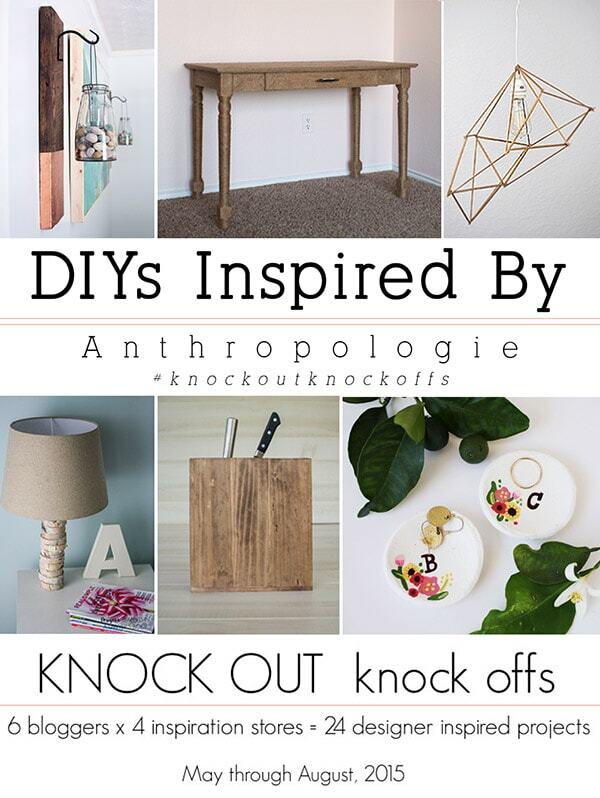 So far we have done Anthropologie, The Land of Nod and last month we did CB2. So, today am here to share my Colorful Striped Coasters! Once again this month, I already owned all the materials needed for this project. So, I did a little happy dance at the ZERO price tag. 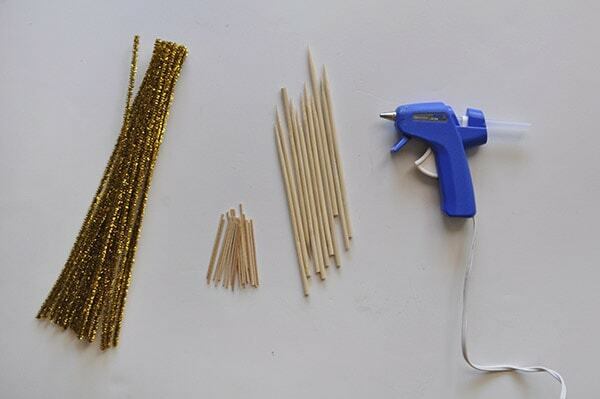 However, if you were to buy these few craft items it would cost around $8 total. 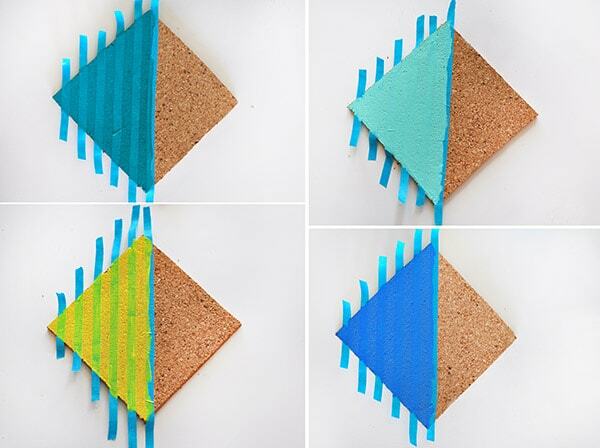 Using my Martha Stewart patterning tape, I taped off half of each coaster. I used a spare piece of tape to help get the spacing evenly the same. 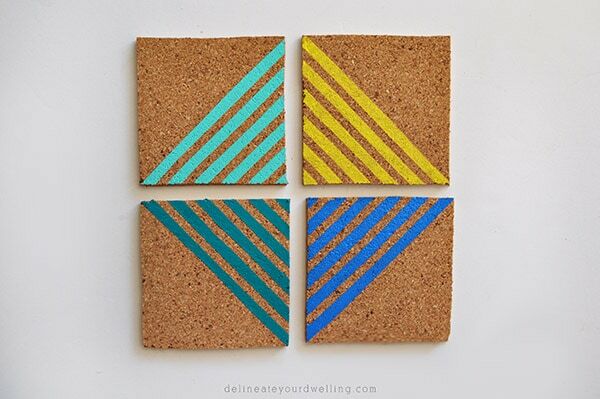 Then, using my different shades of blue and the yellow, I gave each coaster two coats of paint. Right after the second coat of paint was done, I removed the tape (while it was still wet). This insured clean straight lines. I love how they turned out. Perfect for my next bbq hangout! 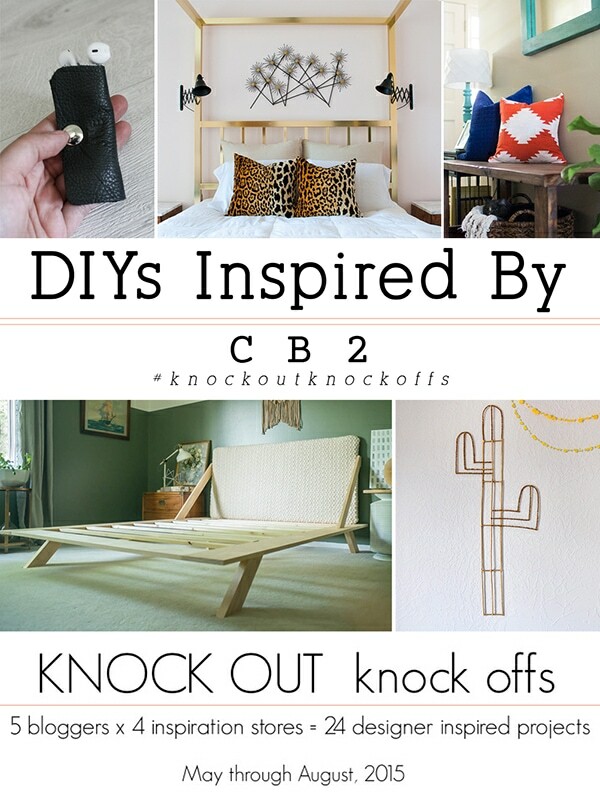 Be sure to stop by the other blogs to see what my creative friends made, too! This is a great idea! 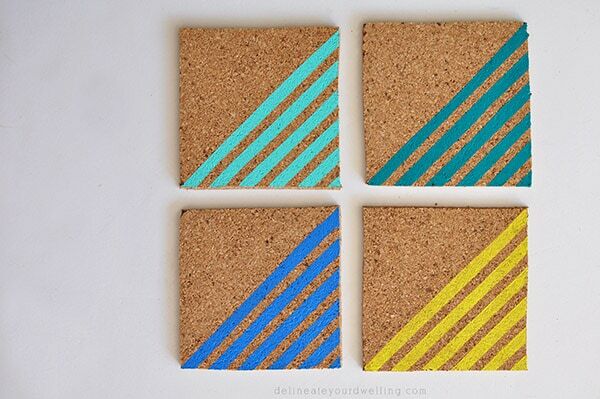 I’m going to try this for some outdoor coasters. 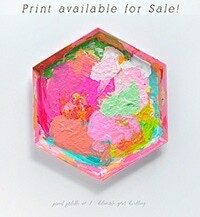 I love how colorful they are and you can’t beat $8! 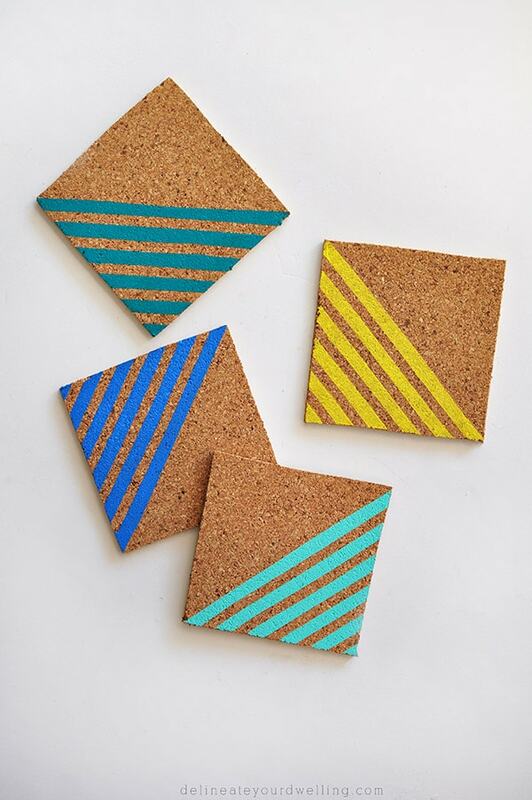 Inexpensive and fun projects are always the way to go! Thanks Katie! Cute! These would be a great housewarming gift 🙂 Love them! Aw, thanks Wendi! I always enjoy this series each summer we’ve done it. So cute!!! 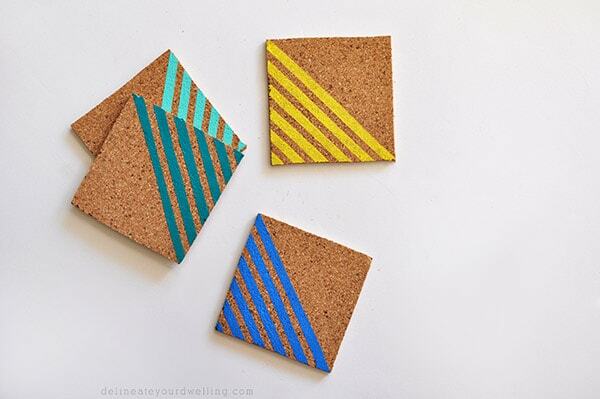 I love how easy they would be to make and the little pops of color! How lovely! 😀 What an inspiration. Yours feel quite different from the Crate and Barrel. Somehow it feels less formal. I love it that way. Thanks for sharing! 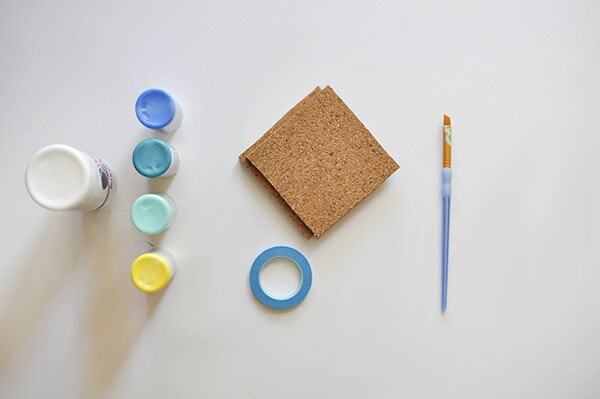 SUCH a fun project Amy! And so perfect for summer!!! These turned out really cute! I love how the stripes look on the cork! 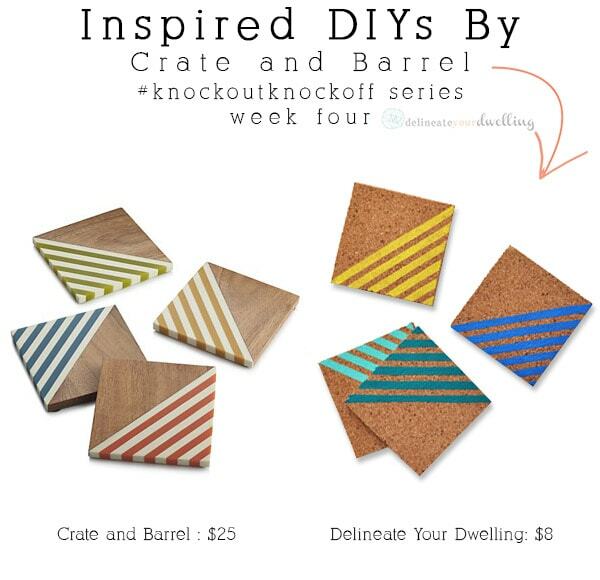 I love the colors you chose and I LOVE that this project was absolutely free for you! And yes, your photos are so great! Aw, thanks Brynne! I’m loving these colors for summer but also thinking they would work well into fall time! Yay for the $0 price tag and even $8 isn’t bad! These are definitely perfect for summer, love them! Thanks Katie! Can’t go wrong with stripes. They are adorable and your pictures are cute as well!